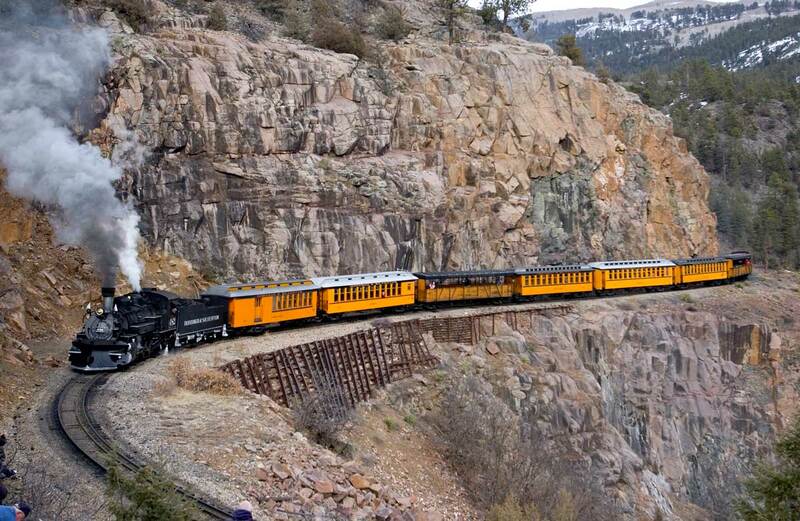 A place that inspires awe, you’ll encounter Victorian-era mining towns, colorful farm communities, mesmerizing geography and ancient cultures that infuse the area with a majestic and distinct heritage. 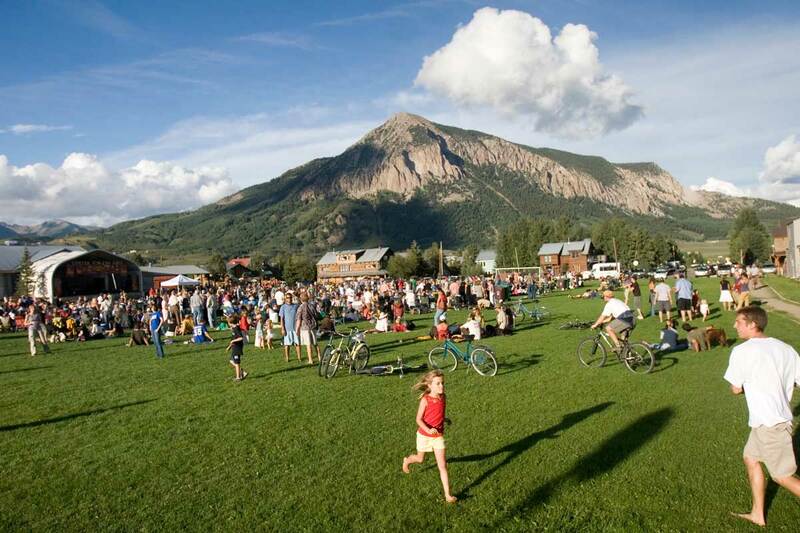 The jagged San Juan Mountains are a haven for outdoor recreation, surrounding towns like Telluride, Durango and Montrose, which all played a role in the state’s mining history. 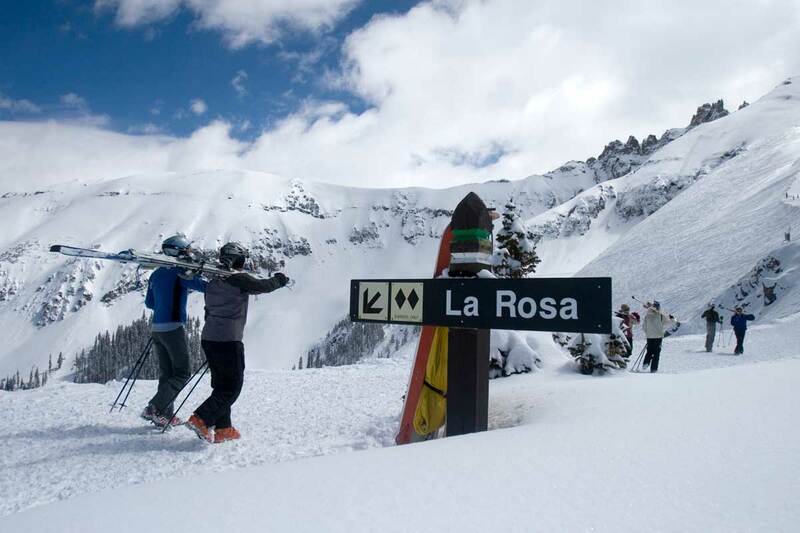 With two spectacular national parks, a handful of scenic byways and more lakes and rivers than any other part of the state, this rugged region truly suits adventurers longing to hike 14,000-foot peaks, raft down thrilling whitewater, ski and snowboard on fluffy powder, rappel through waterfalls, camp in the wilderness and so much more. Considered the Grand Canyon of Colorado, Black Canyon of the Gunnison National Park leaves visitors speechless, thanks to its dramatic landscapes, sheer walls and startling depths. 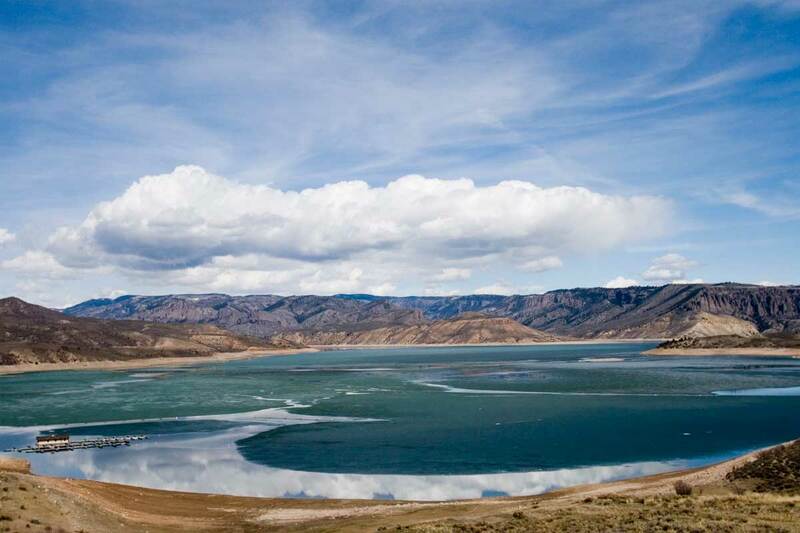 The Gunnison River carved this 2,660-foot deep canyon over millions of years, creating a playground for rock climbing, hiking, fishing and stargazing. 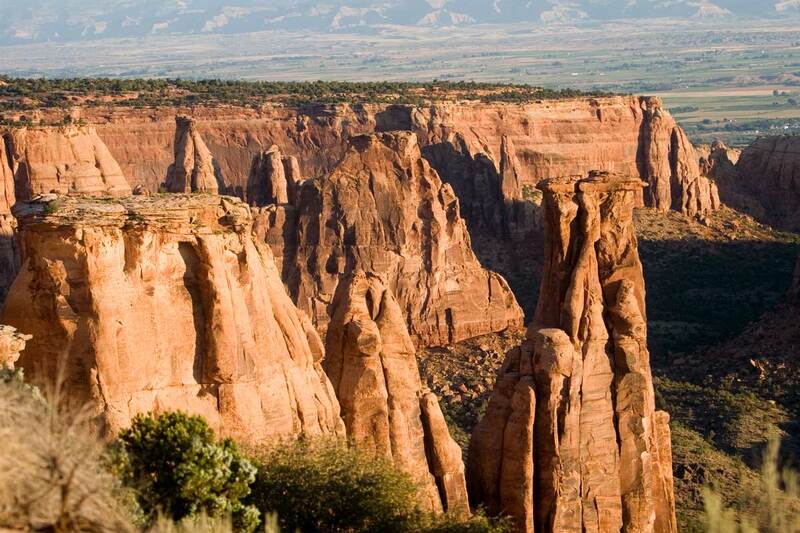 More wonders congregate around Grand Junction: Grand Mesa, the world’s highest flattop mountain, is to the east; Colorado National Monument, a gallery of desert-rock formations, is to the west; and the dramatic Book Cliffs descend right into town from the north. 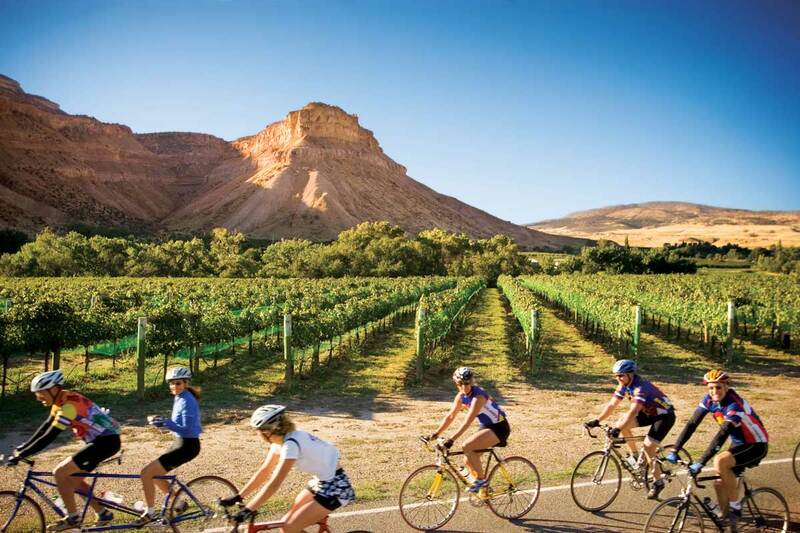 Warm days and cool nights also make the Western Slope an agricultural gem, with towns such as Palisade, Delta, Paonia and Olathe supplying the state with wine grapes and produce like juicy peaches, sweet corn and tart cherries. 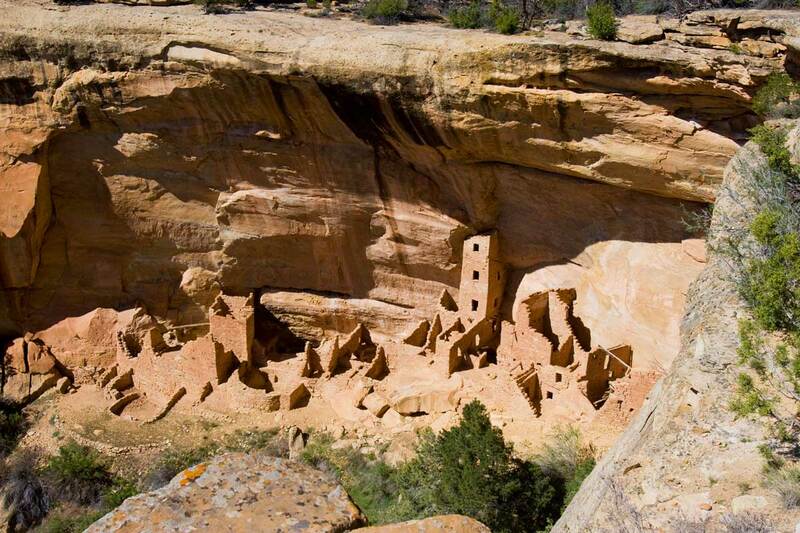 In the Four Corners area around Cortez, bluffs and plateaus are home to well-preserved archaeological ruins at Mesa Verde National Park and Canyons of the Ancients National Monument, offering some of the country’s most complete records of what life was like for the Ancestral Puebloans, who built entire cities inside gaping caves. The 116-mile Trail of the Ancients Scenic Byway links these two important sites, along with Hovenweep National Monument, a bevy of stone towers built by the Ancestral Puebloans; Ute Mountain Tribal Park and its ancient pictographs and petroglyphs; and the Four Corners Monument, where the borders of Colorado, New Mexico, Utah and Arizona meet. This region is also home to 10,000-year-old hot springs, formed by snowmelt that collects in an underground aquifer, heats up and simmers to the surface. 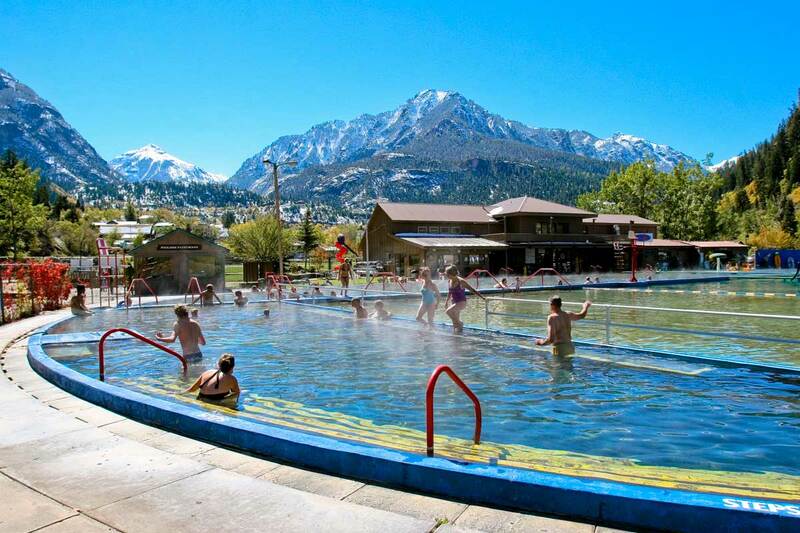 Soothe tired muscles or just soak up the natural beauty in pools found around Pagosa Springs, Ouray and Ridgway. Though it might take a bit more effort to get to Mountains & Mesas, you’ll be rewarded with an environment that manages to slow down the pace of life yet amps up the adventure quotient, all while sitting at the forefront of the state’s farm-to-table ethos and delicious bounty of each season. The region’s spirit will begin to run through you as you absorb its unique history and diverse scenery.